When an icon makes a change, everyone takes notice. Johnnie Walker, the top-selling whisky worldwide, is altering its line-up. Gone are Green Label and Gold Label 18 Year. Johnnie Walker’s master blender, Jim Beveridge (yes, his name is really pronounced how you think it is), is introducing two new whiskies to create a more logical progression in its range. Not to be confused with Gold Label 18 Year (though, in fairness, the change is disorienting), Gold Reserve no longer comes with an age statement as there are whiskies younger than 18 years in the blend, which is something of a mix between Highland and Speyside styles. Its colour is golden yellow with a hint of amber, and it has a nose of toffee, honey, butterscotch, bitter barley and peat smoke. The palate is light, sweet and complex, mainly composed of sweet fruits, smokiness and nutmeg. The body is surprisingly light and ephemeral, and the finish is lingering and smoky. 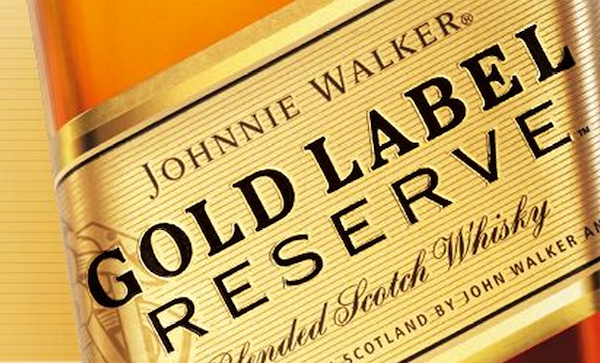 Johnnie Walker recommends freezing Gold Reserve for twenty-four hours before serving neat in a chilled glass, but if you’re as good as I am at following directions you’ll find that a touch of water cuts the sweetness and brings out the grain notes. Gold Reserve goes well with chocolate. Platinum Label is an homage to Johnnie Walker’s tradition of making private blends to share with their friends, and now, thankfully, they’ve decided to share with us. It comes in a bright copper colour and has an elegant nose that requires more than one go to unravel. Citrus notes dominate, though heather honey, cinnamon, and cedar wood smoke all make appearances. On the palate, the liquid feels thicker than it is, with notes of almonds, vanilla, dried fruits and a soft smokiness. The finish is long and dry, with a surprising note of burnt orange unusual in an 18-year blend, though the overwhelming impression is the smokiness. Gold Label Reserve and Platinum Label are both available in 750 mL for $75.95 and $149.95, respectively.